Back in April 2017, then CIA Director Mike Pompeo delivered a speech at the Center for Strategic and International Studies. 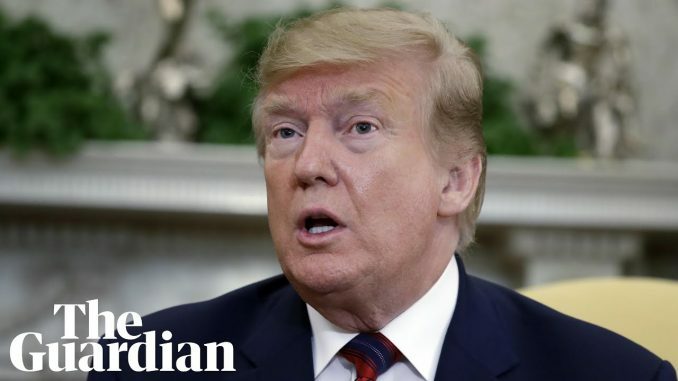 In this speech, he made some very pointed comments about WikiLeaks and Julian Assange that provide us with a glimpse into the mindset that currently inhabits the Department of State in particular and Washington as a whole and why the events of April 11th, 2019 occurred. "As a policy, we at CIA do not comment on the accuracy of purported intelligence documents posted online. In keeping with that policy, I will not specifically comment on the authenticity or provenance of recent disclosures. It is important to note that Mr. Pompeo will not comment on the authenticity of documents that are disclosed by whistleblowers but that, in the next breath, he states that these documents are part of a false narrative that demean and distort the work of America's intelligence community. "And that is one of the many reasons why we at CIA find the celebration of entities like WikiLeaks to be both perplexing and deeply troubling. Because while we do our best to quietly collect information on those who pose very real threats to our country, individuals such as Julian Assange and Edward Snowden seek to use that information to make a name for themselves. As long as they make a splash, they care nothing about the lives they put at risk or the damage they cause to national security. WikiLeaks walks like a hostile intelligence service and talks like a hostile intelligence service. It has encouraged its followers to find jobs at CIA in order to obtain intelligence. It directed Chelsea Manning in her theft of specific secret information. And it overwhelmingly focuses on the United States, while seeking support from anti-democratic countries and organizations. Now, for those of you who read the editorial page of the Washington Post—and I have a feeling that many of you in this room do—yesterday you would have seen a piece of sophistry penned by Mr. Assange. You would have read a convoluted mass of words wherein Assange compared himself to Thomas Jefferson, Dwight Eisenhower, and the Pulitzer Prize-winning work of legitimate news organizations such as the New York Times and the Washington Post. One can only imagine the absurd comparisons that the original draft contained. Assange claims to harbor an overwhelming admiration for both America and the idea of America. But I assure you that this man knows nothing of America and our ideals. He knows nothing of our third President, whose clarion call for life, liberty, and the pursuit of happiness continue to inspire us and the world. And he knows nothing of our 34th President, a hero from my very own Kansas, who helped to liberate Europe from fascists and guided America through the early years of the Cold War. We know this because Assange and his ilk make common cause with dictators today. Yes, they try unsuccessfully to cloak themselves and their actions in the language of liberty and privacy; in reality, however, they champion nothing but their own celebrity. Their currency is clickbait; their moral compass, nonexistent. Their mission: personal self-aggrandizement through the destruction of Western values. They do not care about the causes and people they claim to represent. If they did, they would focus instead on the autocratic regimes in this world that actually suppress free speech and dissent. Instead, they choose to exploit the legitimate secrets of democratic governments—which has, so far, proven to be a much safer approach than provoking a tyrant. Actually, when it comes to Russia and the "pass" that it has been given by WikiLeaks, Mr. Pompeo could not be more wrong. On September 19, 2017, WikiLeaks published its "Spy Files Russia" documents which provided insight into Russia's surveillance contractors. In the case of Russia, Russias communication providers are required by law to install components for surveillance which is provided by the FSB which are linked to the FSB, Russia's Federal Security Service. And, perhaps we can attribute WikiLeaks ability to release information on America's intelligence community because it is far more prone to leaks than the intelligence communities of other nations. 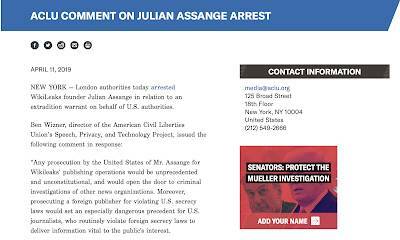 "As for Assange, his actions have attracted a devoted following among some of our most determined enemies. Following a recent WikiLeaks disclosure, an al Qa’ida in the Arabian Peninsula member posted a comment online thanking WikiLeaks for providing a means to fight America in a way that AQAP had not previously envisioned. 1.) It is high time we called out those who grant a platform to these leakers and so-called transparency activists. 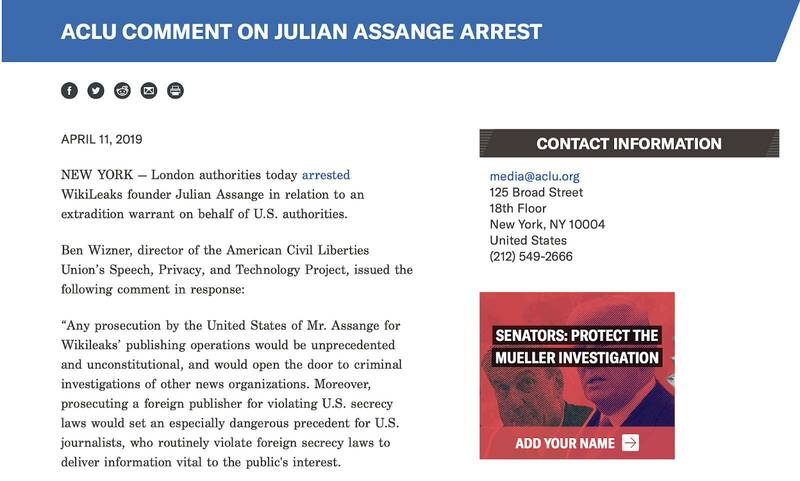 We know the danger that Assange and his not-so-merry band of brothers pose to democracies around the world. Ignorance or misplaced idealism is no longer an acceptable excuse for lionizing these demons. 2.) There are steps that we have to take at home—in fact, this is a process we’ve already started. We’ve got to strengthen our own systems; we’ve got to improve internal mechanisms that help us in our counterintelligence mission. All of us in the Intelligence Community had a wake-up call after Snowden’s treachery. Unfortunately, the threat has not abated. I can’t go into great detail, but the steps we take can’t be static. Our approach to security has to be constantly evolving. We need to be as clever and innovative as the enemies we face. They won’t relent, and neither will we. 3.) We have to recognize that we can no longer allow Assange and his colleagues the latitude to use free speech values against us. To give them the space to crush us with misappropriated secrets is a perversion of what our great Constitution stands for. It ends now." "I know nothing about WikiLeaks. It's not my thing and I know there is something having to do with Julian Assange. I've been seeing what's happened with Assange and that will be a determination I would imagine mostly by the Attorney General who is doing an excellent job." While it may have taken a few days less than two years to complete his dream of getting rid of Julian Assange, it is abundantly clear from the CIA Director's speech that Mr. Assange's fate was sealed once Mike Pompeo had direct access Washington's power brokers no matter what Donald Trump had to say about WikiLeaks back in 2016. Fortunately for those of us on the outside that rely on WikiLeaks to learn more about the hidden secrets of governments and the corporate world, the group will continue to exist with or without its founder. It Happened In The 80′s: Susan Sarandon And David Bowie! LOURDES LEON HAS A PREPPY BOYFRIEND!